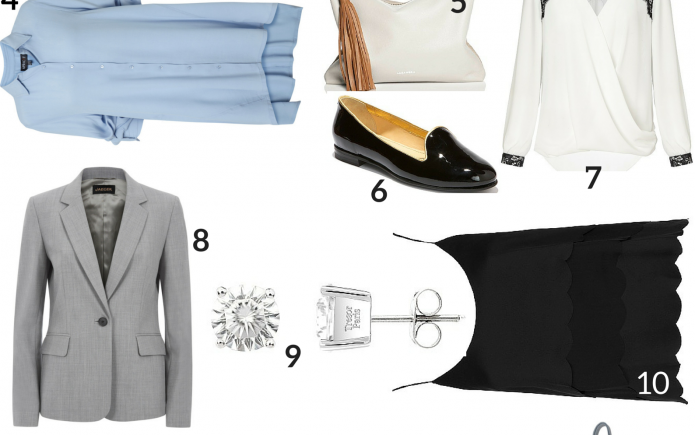 Today’s post is a Wishlist of all the items I am dreaming of lately. I am obsessed with these items and can’t wait to add them to my wardrobe. I love simple tailored clothing in neutral colours with a bit of detail on them. 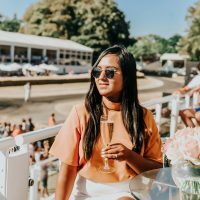 I am a huge fan of classic and chic pieces and my aim is to dress luxury but without busting my wallet. 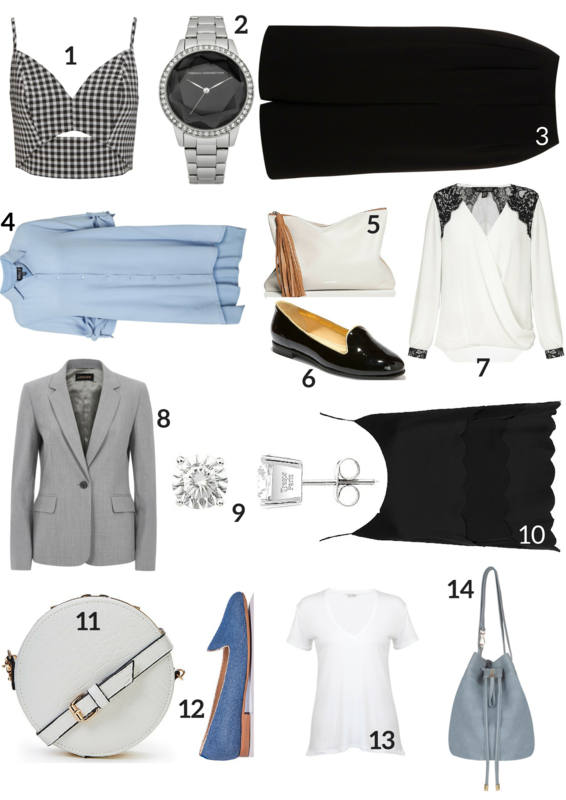 My favourite pieces from the above wishlist is, the Gingham crop top and blue loafers. Gingham has been labelled as the print of spring 2015, it was seen on the runway thanks to designers like Altuzarra, Oscar de la Renta Michael Kors and others. Gingham is a checked cotton fabric that was quite popular in 1950’s and 1960’s. My style idol Audrey Hepburn wore this trend and looked so perfect. I can’t wait to buy the Gingham Crop top.Gingham is a checked cotton fabric that was quite popular in 1950’s and 1960’s. My style idol Audrey Hepburn wore this trend and looked so perfect. I can’t wait to buy the Gingham Crop top. I find several things here I would love to have! Thanks for sharing them all at the Thursday Favorite Things Blog Hop!